We will tell you clearly how your personal data is used in our business. Your data is key to our business, so we'll mind it as if it was our own. We will always aim to send you information that is relevant to you. We won’t collect information that we don’t need. We won’t hold onto information that we don’t need! The Morgan McKinley Group provides recruitment solutions to meet our clients’ needs by connecting specialised talent with leading employers across multiple geographies, industries and disciplines. We are a recruitment agency and recruitment business as defined in the applicable employment and industry specific legislation and regulations, including but not limited to, the Employment Agencies and Employment Businesses Regulations 2003 (our business). Within the Morgan McKinley Group, we also provide other services as follows: executive search, managed services, and consultancy, acting in the capacity of Processor. This Privacy Statement applies to the companies listed in Group Companies & Supervisory Authority (together the “Morgan McKinley Group”). We are a global recruitment business. We connect specialised talent with leading employers across multiple industries and disciplines and we collect personal data in order to provide these services. In the Morgan McKinley Group the protection of your personal data is very important to us because we recognise how important it is to you, and quite simply, YOU are OUR business. In most cases Morgan McKinley Group is the controller of personal data processed as described in this Privacy Statement for the purposes of the General Data Protection Regulation in Europe (“GDPR”). When providing services under the M3S and Accreate trading names, we act generally as a data processor. This Privacy Statement applies to the processing of personal data by the Morgan McKinley Group in its role as controller of personal data under the GDPR. Personal data includes any data about a person that enables them to be identified from that data. This Privacy Statement describes our approach to privacy. It includes detailed information about the type of personal data that we process and how it is used and managed within the Morgan McKinley Group. WHOSE PERSONAL DATA DO WE HAVE? a contractor of Morgan McKinley Group. a managed service offering, where bespoke sourcing and managed recruitment solutions are provided to meet the needs of the Client. This Privacy Statement is not applicable to employees of Morgan McKinley Group. to protect our rights, property, or safety, or that of our Clients, Candidates or others. This may include exchanging information with other companies and organisations for the purposes of fraud protection. We may be required to share references provided by Associate Contacts of Candidates in the event of an access request by the Candidate. You can ask for access to the information we hold on you. When we receive a request from you in writing, we must give you access to the information you have requested as well as details of the processing, the categories of personal data concerned and the recipients of the personal data. We will provide the first copy of your personal data free of charge but we may charge you a reasonable fee for any additional copies. You can ask to change information you think is inaccurate. You should let us know if you want to change the personal data we hold. We may not always be able to change or remove that information, but we will correct factual inaccuracies and may include your comments in the record. deleting the information is a legal requirement. where we have no legal reason to use that information but you want us to restrict what we use it for rather than erase the information altogether. You have the right to ask for your personal information to be given back to you or another service provider of your choice in a commonly used format. This is called data portability.This right only applies to data stored in electronic form where we’re using your personal information on the grounds of consent or pursuant to a contract with you. It does not apply where it would adversely affect the rights and freedoms of others. You have the right to lodge a complaint with the local supervisory authority for data protection in the EU member state where you usually reside, where you work or where you think an infringement of data protection law took place. 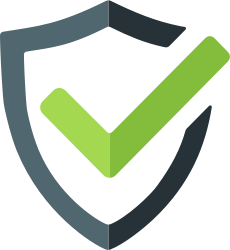 We monitor for and do everything that we can to prevent security breaches. In particular, we have put in place appropriate technical and organisational procedures to safeguard and secure the information we manage and collect. 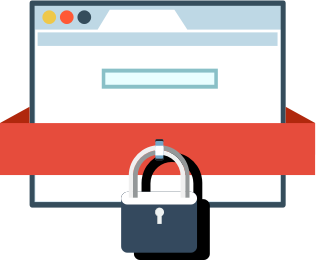 To protect the privacy and security of personal data, we will also take reasonable steps to verify your identity before granting access to information as appropriate. If you think that there has been any loss or unauthorised access to personal data of any individual please let us know immediately. We may share personal data outside the EU, however we will always ensure that this is done in compliance with the relevant laws. As a global organisation we use and share personal data both inside and outside the EU. 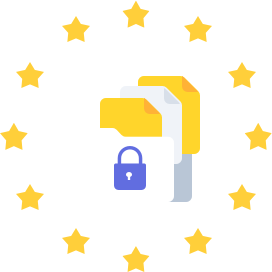 We ensure that any transfer of data outside the EU is undertaken using legally compliant transfer mechanisms and in accordance with the GDPR. When we transfer personal data outside of the EU, we generally rely on the Standard Contractual Clauses under Article 46.2 of the GDPR adopted by the EU Commission however we may also rely on some of the other legally compliant transfer mechanisms. We are responsible for our own privacy practices, not those of a third party. You may access Morgan McKinley Group services through links to and from third party websites. If you follow a link to any of these websites, please note that these websites may have their own privacy statements. We do not accept any responsibility or liability for these third party websites nor do we provide support for their services. Please undertake the appropriate due diligence before submitting any personal data to these websites. We will update the date on this Privacy Statement when we make changes to it. In some cases we may provide you with additional notice, for example by email, of changes to this Privacy Statement. If we deem the changes to be material, we will provide you with such additional notice well in advance of the changes taking effect. Please contact us if you have any questions about this Privacy Statement or the information we hold about you. As well as contacting us, you can contact the Data Protection Supervisory Authority relevant to you if you have any concerns about this Privacy Statement, or about the way we are processing your personal data. This Privacy Statement applies to the following companies in the Morgan McKinley Group. Please also see the contact details for the Supervisory Authority relevant to you below. In Ireland: Morgan McKinley, La Creme, M3S and Accreate are registered business names of Premier Recruitment International UC. Premier Recruitment Int’l is a company registered in Ireland, company number 131679 and registered office 4th floor, 6 Lapps Quay, Cork, Ireland, T12 XE1V The Supervisory Authority in Ireland may be contacted at info@dataprotection.ie you have any concerns or questions about the processing of your personal data. In Australia: Morgan McKinley Pty Limited, a company registered in Australia, company number 124730098 and registered office Level 9, 383 Kent Street, Sydney, NSW 2000 The Supervisory Authority in Ireland may be contacted at info@dataprotection.ie you have any concerns or questions about the processing of your personal data. In Singapore: Morgan McKinley Pte Limited, a company registered in Singapore, company number 200503018E and registered office 1 Raffles Place #47-02 One Raffles Place Tower 1 Singapore 048616 The Supervisory Authority in Ireland may be contacted at info@dataprotection.ie you have any concerns or questions about the processing of your personal data. In Hong Kong: Morgan McKinley Limited, a company registered in Hong Kong, company number 774413 and registered office Suite 3407, Lippo Centre, Tower II, 89 Queensway, Admiralty, Hong Kong The Supervisory Authority in Ireland may be contacted at info@dataprotection.ie you have any concerns or questions about the processing of your personal data. In Japan: Morgan McKinley KK, a company registered in Japan, company number 0104-01-054224 and registered office Holland Hills Mori Tower 17F | 5-11-2 Toranomon Minato-ku | Tokyo 105-0001, Japan The Supervisory Authority in Ireland may be contacted at info@dataprotection.ie you have any concerns or questions about the processing of your personal data. In China: Morgan McKinley Job Intermediary (Shanghai) Co. Ltd , and registered office Suite 6106, Tower 1, Plaza 66, No.1266 West Nanjing Road, Shanghai 200040, China The Supervisory Authority in Ireland may be contacted at info@dataprotection.ie you have any concerns or questions about the processing of your personal data. In Canada: Morgan McKinley Inc, a company registered in Canada, company number BC1118752 and registered office Suite 400,725 Granville Street, Vancouver, BC, Canada V7Y 1GS The Supervisory Authority in Ireland may be contacted at info@dataprotection.ie you have any concerns or questions about the processing of your personal data. We want to explain clearly how we process the Candidate personal data that we hold. In order to provide our recruitment services we need to collect personal data relating to our Candidates. This section of the Privacy Statement provides specific information relating to Candidates. Our Candidates are individuals to whom we provide our services, for example advising them and assisting them to find a new career opportunity. for the purposes of this Privacy Statement a contractor of Morgan McKinley Group is defined as a Candidate. A Client Contact with whom Morgan McKinley Group has/had a Candidate on contract assignment, may provide a reference for that Candidate. We have a large variety of sources of Candidate data. We will only ever source data that is necessary to provide services to you and in a way that would be generally expected. when we are providing a managed services solution to a client, the Candidate may be referred to us directly from that client requesting that we process their application on their behalf. We have to process personal data legally. If we look for consent we will always ensure that Candidates know what they are consenting to. We may also process personal data without consent but only if that is compliant with the GDPR and/or is in line with the reasonable expectations of Candidates and Associated Contacts. 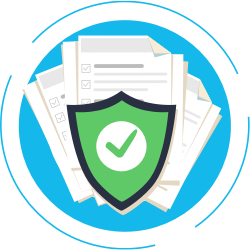 If we have a contract with a Candidate, such as a contract worker, or where the Candidate has entered into a work finding services agreement for the provision of services, we will process personal data in order to fulfil the requirements of the contract, or to undertake set up requirements prior to entering into the contract. If we have a legal obligation to process personal data, such as the payment of taxes, we will process personal data on this legal ground. The GDPR states that we may process personal data “if necessary for the purposes of the legitimate interests pursued by the controller or by a third party, except where such interests are overridden by the interests or fundamental rights and freedoms of the data subject which require protection of personal data”. We may use legitimate interests where we do not have GDPR compliant consent, or where the information is collected indirectly about Candidates (see Sources of Personal Data). We have assessed the scenarios where we use legitimate interests as a legal ground for processing and we consider our processing is in line with Candidate expectations and that there is a balance between our interests, and those of Candidates. Candidates may object to any processing undertaken on the grounds of legitimate interests. To find out How do you Access / Update / Delete Your Data, please read that section of our General Privacy Statement. Consent may be collected when a Candidate applies to a position advertised on our websites, or when a candidate completes our registration process (see Sources of Personal Data). Where we are unable to collect consent for a particular processing activity we will only process personal data if we have another lawful ground. 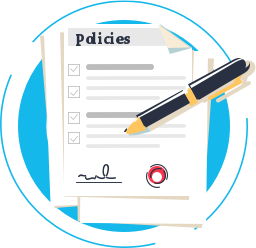 In limited circumstances and in accordance with the law we may use Candidate information in the defence of legal claims or enforcing legal rights, such as IP rights. 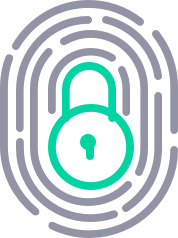 In certain circumstances, particularly in the case of a contract worker, we may be required to assess the working capacity of that worker and we will operate under this legal ground in relation to any tests or assessments undertaken involving the processing of sensitive personal data. to undertake profiling for the purposes of semi-automated or manual decision making about Candidates. to produce aggregated models to predict trends and produce market insights. to communicate payroll and other financial information to Candidates and Clients. to undertake modelling to identify improvements and efficiencies in the recruitment process. to fulfil contractual obligations with Clients and vendors, for example, in relation to the enforcement of intellectual property rights. to promote diversity or inclusion in the workplace. A Candidate’s personal data relating to diversity is held anonymously and used for statistical purposes only. This section describes the personal data that we collect about Candidates. We only collect the personal data that we require in order to provide the best service to you and deliver the services that you expect. We have described here in as much detail as possible the personal data that we use in order to provide our services and the purposes for which it is used. For further information on the purposes click here. Associated Contact information including phone number, email address, social media links, home address, email marketing permissions, SMS permissions. Candidate CV including date of birth, employment history, skills/ experience, languages, educational history, qualifications, membership of professional associations, contact details of employer references/character references, licenses held, interests and hobbies. Candidate special categories of personal data including diversity data such as gender, religion, ethnic origin, sexual orientation, but we will only source this data with the direct consent of Candidates. Candidate registration data including systems assigned identifiers (like ID, Morgan McKinley Office, Morgan McKinley Group Brand, Morgan McKinley Consultant), date record added, Work Finding Services Agreement (in relevant locations), Candidate registration form (with Associated Contact Data), Candidate Terms and Conditions. Candidate application data including salary, notice period, details of visa or eligibility to work, photographic images, video applications if available, desired salary, CV received date, ‘referred by’. Candidate metadata from candidate including summary of recency, frequency and timeline of email engagement from Candidate emails / marketing interaction. Candidate compensation data including salary and benefits offered to the Candidate by Client. Candidate contractor’s payroll data including bank details, tax information and documentation, social security information, National Insurance/Social Security Number, payment information, Limited / Umbrella Company details. Candidate Career and Event Management Registration Data including Name, Contact Email Address, Account Information, Unsubscribe details, subscription preferences, Web metadata. Associated Contact Referees including Name, Phone Number, Email Address and reference details. Associated Contact Emergency Contact including Name, Phone Number, Email Address and relationship to Candidate. Our aim is to build lasting relationships with our Candidates and thus to contribute to long term career success and development. So our goal is to continue to engage and interact with Candidates even after they have secured a new position - for example to keep them informed of market developments, invite them to topical seminars and networking events, and to be on hand to offer advice about career planning. But, we recognise that the level of engagement we have with different Candidates will vary and so our retention policy is designed to reflect this. If we lose touch with a Candidate we recognise that the personal data we collected is no longer needed for the purpose for which it was collected and we won't retain it any longer. the Candidate interacting with us in other ways for example, clicking to open our market insights, newsletters, surveys etc. Unless the Recruitment Serviceshave been provided to the Candidate, such personal data will be retained for a period of twelve months following the date of the last engagement by the Candidate with any marketing communication received. 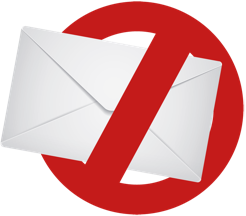 If a Candidate unsubscribes to marketing communications the Candidate personal data will be deleted from the marketing database and no further marketing communications will be sent. Specifically in relation to Recruitment Services, IT, Finance, Legal, Equal Opportunities & Diversity, personal data will be retained in accordance with the above statements unless we are required to keep it for legal reasons. It will then only be retained for the period required by law and will not be further processed for any other purpose. We want to explain clearly how we process the Client Contact and Supplier Contact personal data that we hold. In order to provide our recruitment services we need to collect personal data relating to Client Contacts and Supplier Contacts and this section of the Privacy Statement provides specific information relating to the information collected. Client Contacts include individuals working for businesses who employ the types of Candidates that we specialise in sourcing. For the purposes of this Privacy Statement, a Client Contact includes members of Client staff, whose contact details we hold, and members of staff of a company who we deem a potential Client of ours, and whose contact details we hold. Supplier Contacts include individuals working for businesses who may provide services to us. For the purposes of this Privacy Statement, Supplier Contacts include anyone working in a business that is a supplier or potential supplier of services to us. We source Client Contact and Supplier Contact information in order to serve the business relationship. We will only ever source personal data that is necessary and in a way that would be generally expected. the information may be collected indirectly from a website or from a third party. We have to process personal data legally. 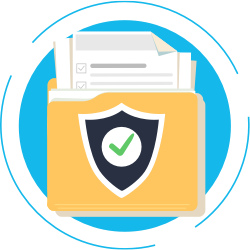 We will process Client Contact or Supplier Contact personal data in a manner that is compliant with the GDPR and in line with reasonable expectations. If we have a legal obligation to process personal data, such as the payment of taxes to revenue. The GDPR states that we may process personal data “if necessary for the purposes of the legitimate interests pursued by the controller or by a third party, except where such interests are overridden by the interests or fundamental rights and freedoms of the data subject which require protection of personal data”. It is considered reasonable to use Client Contact and Supplier Contact personal data for our legitimate interests for our business relationship or potential relationship with Clients and Suppliers. Client Contacts and Supplier Contacts may object to any processing undertaken on the grounds of legitimate interests. To find out How do you Access / Update / Delete Your Data, please read that section of our General Privacy Statement. In limited circumstances and in accordance with the law we may use Client Contact and Supplier Contact information in the defence of legal claims. to carry out our obligations under our contract with the Client. to follow up with attendees of our events/webinars; and to ask for opinions about our products or services. to communicate payroll and other financial information to Clients and Suppliers. to store and backup information. Morgan McKinley Group collects and processes very limited information about Client Contacts and Supplier Contacts. We only collect the personal data that we require in order to ensure we can have a productive business relationship with Clients and Suppliers. The types of data we process include: name, phone number, email address, marketing permissions, company, job title, reporting line, Candidate feedback, last contact details and timeline communications. The types of data we process include: name, phone number, email address, marketing permissions, company, job title. Our mission is to build lasting relationships with Clients for the purposes of finding the Client the right people for the Client business. We only retain Client Contact and Supplier Contact personal data for as long as it is needed for the purpose for which it was collected. After that it is deleted from our systems. We want to explain clearly how we process the Website User personal data that we hold. For the purposes of this Privacy Statement a Website User is any individual who accesses any of the Morgan McKinley Group websites (the “Website”). We collect personal data relating to Website Users and this section of the Privacy Statement provides specific information relating to the information collected. We source Website User information in order to improve our services and develop the Website. 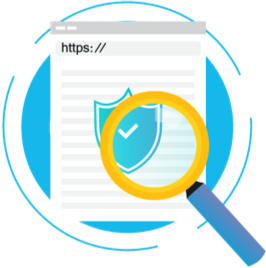 We receive personal data about Website Users who access our advertisements or our Website regardless of whether they interact or register with the Website. We have to process personal data legally. If we look for consent we will always ensure that Website Users know what they are consenting to. 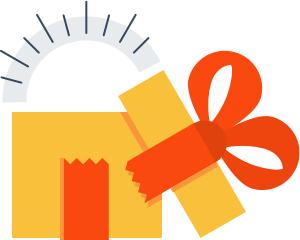 We may also process personal data without consent but only if that is compliant with the GDPR and is in line with the Website User’s reasonable expectations. We have to have a lawful basis for processing any personal data. The GDPR sets out the grounds where processing of personal data can be undertaken lawfully. The main lawful grounds used by Morgan McKinley Group to process personal data of Website Users is on the grounds of consent or because we believe that it is in the legitimate interests of the Website User and us. We want to ensure that the personal data is used for the purposes that you would expect and our ultimate goal is that there should be no surprises for Website Users in the way that personal data is used by Morgan McKinley Group. We have described here the purposes for which Website User information is used by Morgan McKinley Group. We generally use Website User data for Website performance analytics and to improve the service that we provide to each Website User. We try to present the information that might be of interest to Website Users based on their browsing history. If you would like to know more about cookies please click here. Morgan McKinley Group collects and processes very limited information about Website Users. We only collect the personal data that we require in order to deliver and improve the services we provide. Information that identifies you as an individual or relates to an identifiable individual, including: CV, name, title, company name, job function, expertise, postal address, telephone number, or email address. Information that does not reveal your specific identity or does not directly relate to an identifiable individual. This might include, for instance, browser and device information; App usage data; information collected through cookies, pixel tags, and other technologies; demographic information and other information provided by you; or aggregated information. We use this information to facilitate our operation of the Sites and for delivering our service and marketing our service to you. Our mission is to build lasting relationships with our customers. We will only retain personal data for as long as it is needed for the purpose for which it was collected. After that it is deleted from our systems.